What is the TLK 100? 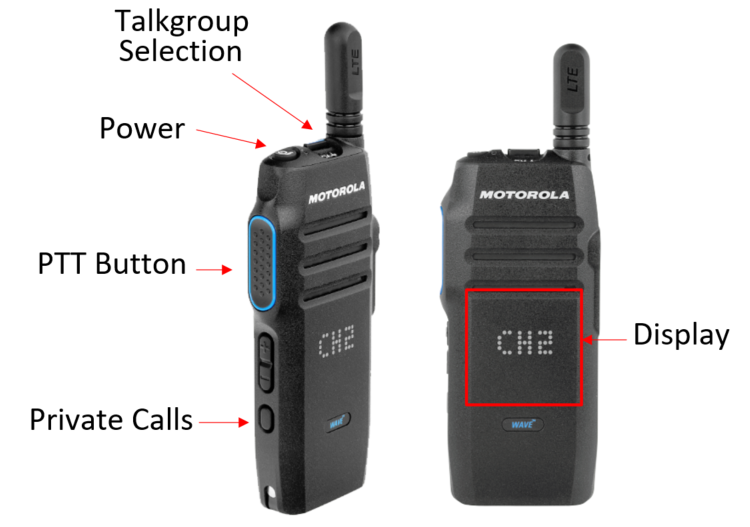 TLK 100 Units are hand-held multi-connect devices designed by Motorola Solutions to integrate with WAVE OnCloud. They may connect over WiFi or Cellular and switch between them depending on the connection available. The TLK 100 is not a radio unit, but has the same form-factor and durability with a simple to use Push-to-Talk interface and minimal display system. Through WAVE OnCloud, users of TLK 100 units will be able to participate in Talkgroup and Private Calls with other Broadband and Radio Units. Login to WAVE OnCloud using your Customer account credentials. In the left navigation frame, click the TLK 100s menu. Importing TLK 100s from a Spreadsheet. Editing a TLK 100 User. Editing a TLK 100 Device. This information is supplied for IT Administrators managing corporate network connections. The TLK 100 devices use the ports listed below to connect with required external services. Ensure your firewall is open to incoming and outgoing traffic from these ports.